This is where André Pépin and Antoine Pépin-dit-Lachance were born and migrated from to Canada. 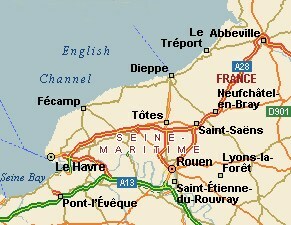 Today, Le Havre has a population of 191,000. It is situated approximately 2 hours from Paris and 45 minutes from Londres.